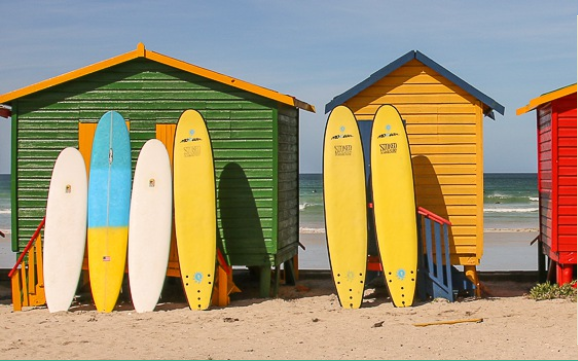 Learn to surf at one of Cape Town's pristine beaches with our experienced, qualified coaches. 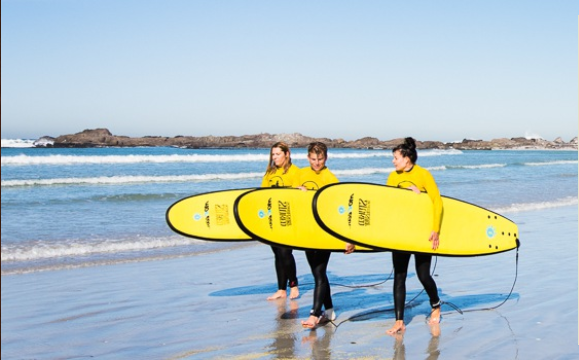 A 2-hour group surf lesson includes the use of a warm wetsuit, surfboard and guarantees 100% 'stoke'. No previous experience is required as we guide you through the surfing basics using our unique 'Stoked' teaching techniques. Our surf school offers both transported and self-drive lessons. If you have previous surf experience and are wanting to brush up on your skills, please let us know upon booking so we can advise your coach and group you accordingly if possible. If you are 'stoked' after an 'Experience the Stoke' lesson and want to upgrade to the 'Uber-Stoked' package, simply pay the price difference and we will count your first surf lesson as lesson 1 of 4. Our headquarters are located in Camps Bay so that we have easy accessibility to both coastlines of the Peninsula. 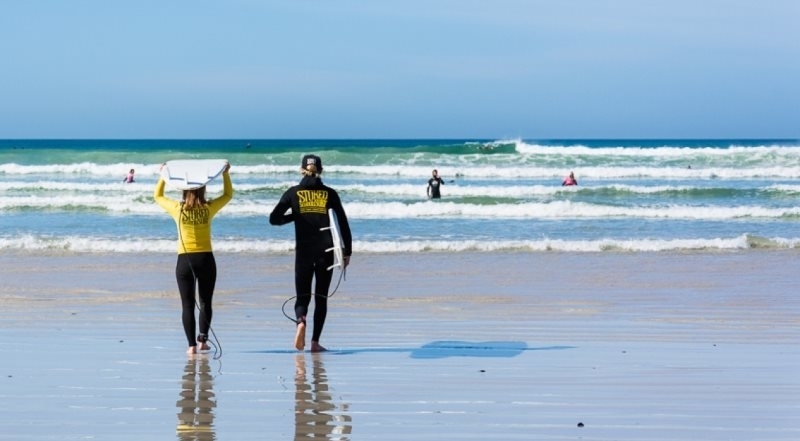 Surf lessons take place at the most suitable beach depending on the conditions on the day of your booking. We check the surf forecast on several reliable sources and combine this information with our local knowledge to decide where we will coach each day. We consider factors such as wind, tides, swell direction and ocean temperatures before making our decision to provide the safest and most enjoyable experience our surfing students. We use high quality 4:3mm wetsuits to keep you warm throughout the year in the Cape Town waters. Wetsuits are well maintained-washed and rinsed after each use. We use beginner specific softboards for those who have never touched a surfboard or only surfed a handful of times. 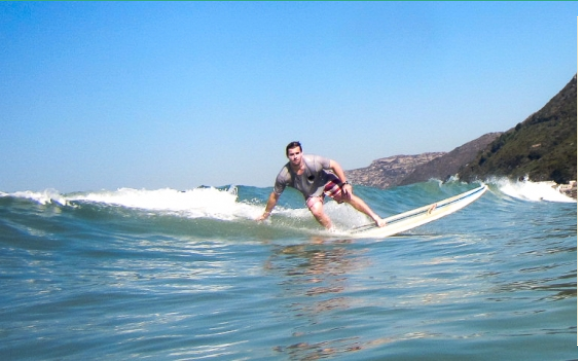 These boards are easy to catch waves with and make standing easier as they are stable. If you have a bit more surfing experience and are wanting to use a regular epoxy/fibreglass board, kindly let us know at the time of booking. For the self-drive option, we will advise (via email or sms) the beach we will be operating the lesson on at least 24 hours in advance. For the transported option, we offer pick ups from locations in Cape Town city and surrounds (see pick up area list below). If you are located outside of the pick up area, we will ask you to meet us at a pre-arranged location in the city. If you are staying at a private residence/Airbnb etc, we will ask you to meet us at one of our regular pick up points closest to your accommodation. We will transport you to the beach in our comfortable van or our original surf school VW golf.